In his latest blog for infologue.com Carl Palmer, Exec Chairman at CIS Security asks: Have you left room for creativity in your security business? The UK Outstanding Security Performance Awards (OSPAs) event took place at the Royal Lancaster in central London on 28th February 2019, with over 450 security professionals attending. 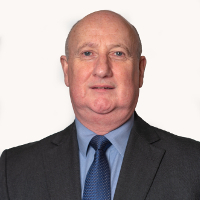 In his latest blog for infologue Carl Palmer, Exec Chairman at CIS Security writes on the subject of the importance of meaningful values for People in Security, and why.